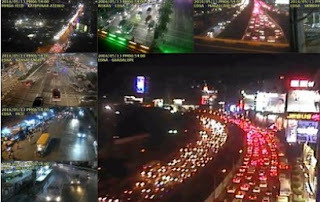 Filipinos seem to be the most stressed-out in the Asia-Pacific when it comes to commuting. In a survey done by Ford Motor Company, three out of 10 Filipinos said that commuting is the worst part of their day. A higher percentage or 43 per cent said that their commute is difficult or inconvenient. A total of 12, 619 respondents from 12 countries were surveyed, more than a thousand (1,052) of which, were from the Philippines. About 4 out of 10 (42 percent) Filipinos think that commuting this year is worse compared to a year ago, while a big majority (70 percent) think that they are wasting so much time due to traffic. According to Ford, respondents cited traffic congestion, crowded public transportation, and expensive commute as the top reasons why commuting experience has deteriorated. The worsening traffic situation in the country has been a key issue even during the PiliPinas Debates 2016. Candidates for president and vice-president presented their solutions to end or at least mitigate the traffic mess, especially in Metro Manila. Last year, Economic Planning Secretary Arsenio Balisacan said the traffic cost the economy about 3 billion pesos a day. That translates to more than 1 trillion a year, or roughly 0.8 per cent of the country's GDP in 2015. And that was just a conservative estimate. Since the traffic has gone worse, then expect the cost to the economy to have gone up, too. If presumptive president Rodrigo Duterte's 8-point economic agenda will be followed, then there might just be hope for stressed-out daily commuters. Included in the economic agenda is the plan to accelerate infrastructure spending and alloting as much 5 per cent of the country's GDP for infrastructure. Let's keep our fingers crossed that the "infrastructure" will include projects that will ease transportation woes in the country.